Whether you’ve always carved pumpkins for Halloween or have never made a jack-o-lantern before, now that you’re alone, you can create a carved pumpkin that’s a real work of art. 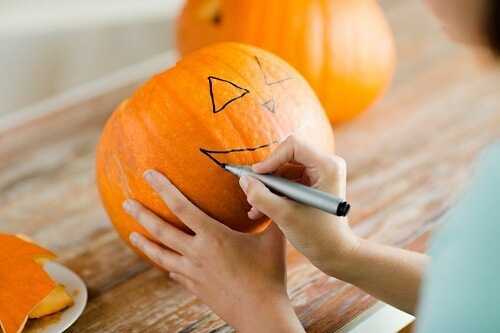 Ensure that you have newspapers to spread over your workspace, a sharp carving knife and a big orange pumpkin. When you’re done, light and place a candle inside the pumpkin to create an eerie glow.